Can you really eat cake for breakfast? You betcha! 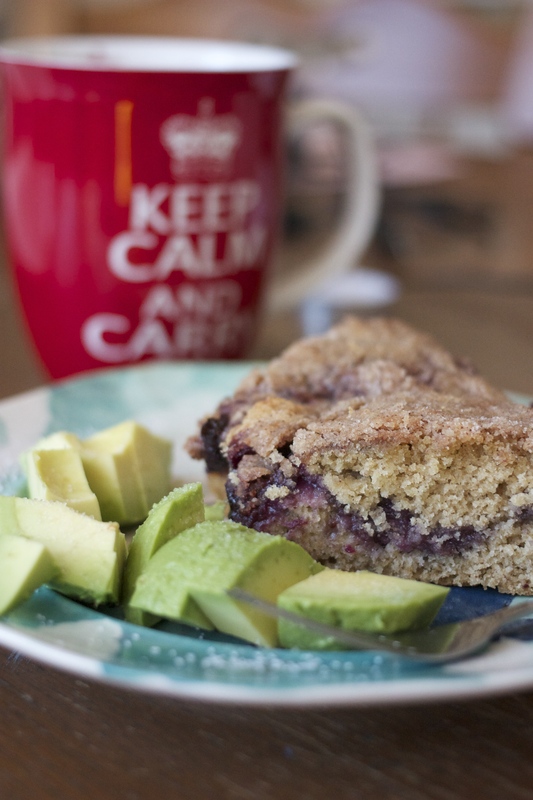 Check out this recipe for my coffee-cake inspired, gluten-free (if you’d like), blueberry-rhubarb packed perfection of a breakfast. 1. For compote, in a medium saucepan combine fruit and water. Bring to boil. Reduce heat and simmer until fruit is tender (about 5 minutes). Add sugar and cook ad stir over medium heat until mixture is thickened and bubbly. Set aside to cool. 2. In a medium bowl, combine all dry ingredients. Cut in butter until mixture resembled coarse crumbs. Make a well in the centre of the flour mixture. Set aside. 3. In another bowl combine wet ingredients. Mix together until egg is slightly beaten. Add wet ingredients into well of dry ingredients. Using a wooden spoon, store just until moistened (batter should be lumpy). Spread half of the batter into a cake pan approximately 8x8x2. Spread compote over batter. Drop remaining batter in small mounds onto filling. 4. In a small bowl, stir together the topping ingredients. Cut in the 2 tbsp of butter until mixture resembles coarse crumbs. Sprinkle over coffee cake. Bake in a 350 degree over for 40 to 45 minutes or until golden. 5. Serve warm and enjoy.